Khalid Saleem Mota is one of the most experienced film, television actors of Pakistani showbiz industry. Due to his hard work and serious comedy his name became must for titles of any film of 70s. During this period and in the presence of comedy king like Munawar Zarif, Rangeela, Lehri, Nanha he was able to reserved his place in films made on social issues and like by the families. At present due to his health issues he has restricted his appearance but whenever he find reasonable platform he appears to amuse his film gores. Khalid Saleem Mota was born in Tehsil Chiniyot of District Jhang on July 3, 1947 in family of a businessman named Sheikh Muhammad Sadiq. Khalid received his early education from his home town Chiniyot. He belonged to a Sheikh family related to cloth business which was spread in many cities so along with his family he moved to Loyalpur (now Faisalabad) in his childhood. He was in 7th class when again his family moved to Hyderabad from where he did his matriculation and intermediate from Sachal Sarmast Science College. Khalid Saleem Mota stayed there for good about six years in Hyderabad. Once again due to shifting of business his family moved back to Faisalabad and did B.A. After graduation he moved to Lahore and got admission in Law College and got LLB degree. But he never carried out any law practice because of his passion towards acting performance. Mota joined Pakistan Television as well through Yawar Hayat that’s why he considered Athar Shah Jaidi and Yawar Hayat Khan as his acting teachers and has learned a lot from both of them. Renowned director Laiq Akhtar who was at that time in search of fresh face to whom engage him as comedy role in his next film. 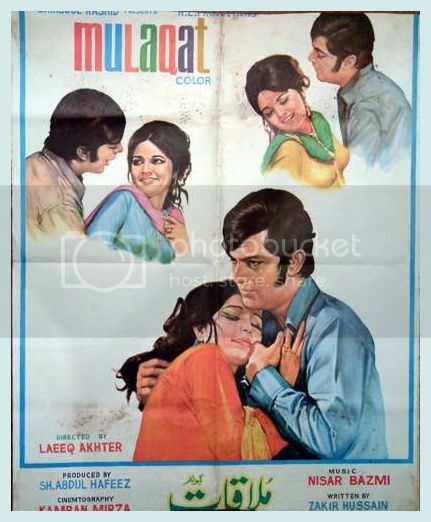 He heard about Khalid Saleem Mota and due to his powerful and excellent performance in stage drama Wrong Number, Laiq Akhtar got impressed and offered a comedy sequence in his film Mulaqat in which Waheed Murad and Nisho played the lead role and this film was released on April 20, 1973. And then there was no looking back as soon he was coming in almost every film both produced in Urdu and Punjabi films. His popular films includes Shama, Daman Aur Chingari, Noukar, Aakhri Muqabla, Ishq Ishq, Jasoos and Intekhab. Other than films he had performed in number of TV / stage dramas and entertained the public with his sense of humor. 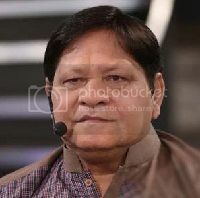 Khalid Saleem Mota had performed in many stage dramas, television dramas and films. His popular television dramas are Nasheman (PTV) and Meherban House (ARY). Khalid Saleem Mota entertained the audience with the qualitative comedy. During his career he had also received several awards as an appreciation for his work including Nigar Awards and Bolan Awards. In 1976, Khalid Saleem Mota got married with Samina Begum which was a family arranged marriage. He was blessed with five children, three sons and two daughters. All of his sons are running their family business and Khalid Saleem have allowed them to choose profession of their own interest. Khalid Saleem Mota is suffering from many diseases from a long time including Diabetes, blood pressure and many others. His foot fingers have been already cut down due to his diseases. At present, Khalid Saleem Mota had been suffering from cataract (Motia) in his both eyes and attempted eye surgery in local hospital in Karachi, where he lost his eye due to negligence of doctors. He is nowadays facing big problems for the surgery of his second eye. While talking to a leading newspaper, actor Khalid Saleem Mota said that he is facing pain in his second eye from some days and doctors have prescribed an operation for it after checkup. However he is thinking to consult any competent doctor before eye surgery.